Thirty-fifth in line for the British throne, Lady Georgiana Rannoch becomes embroiled in royal wrongdoing in the ninth mystery from the New York Times bestselling author of Crowned and Dangerous. Caught between her high birth and empty purse, Georgie is relieved to receive a new assignment from the Queen. The King's youngest son, George, is to wed Princess Marina of Greece, and the Queen wants Georgie to be her companion: showing her the best of London and dispelling any rumors about George's libertine history. The prince is known for his many affairs with women as well as men including the great songwriter Noel Coward. But things truly get complicated when one of his supposed mistresses is murdered. The Queen wants the whole matter hushed. But as the case unfolds and Georgie's beau Darcy, as always, turns up in the most unlikely of places their investigation brings them precariously close to the prince himself. Rhys Bowen, a New York Times bestselling author, has been nominated for every major award in mystery writing, including the Edgar(r), and has won many, including both the Agatha and Anthony awards. 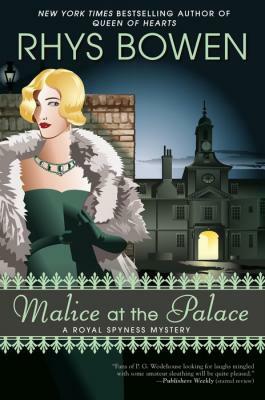 She is the author of the Royal Spyness Mysteries, set in 1930s London, the Molly Murphy Mysteries, set in turn-of-the-century New York, and the Constable Evans Mysteries, set in Wales. She was born in England and now divides her time between Northern California and Arizona.